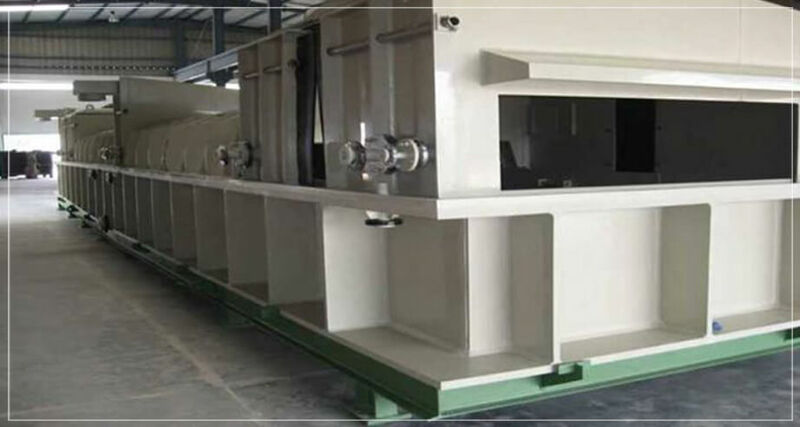 We at CPE manufacture various products that are made-to-order as per clients’ requirements and specifications. Using the best raw materials in the industry which are ascertained for the respective service conditions by our suppliers’ experts, the design of these products is carried out by our in-house design team. 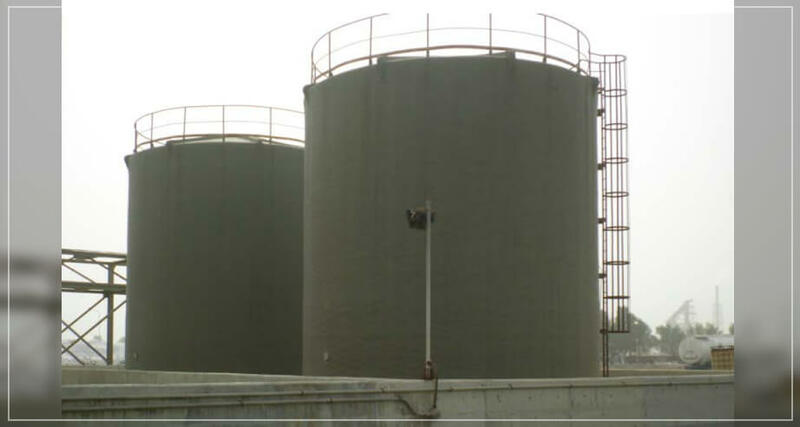 We offer storage tanks/vessels for both above an underground storage. 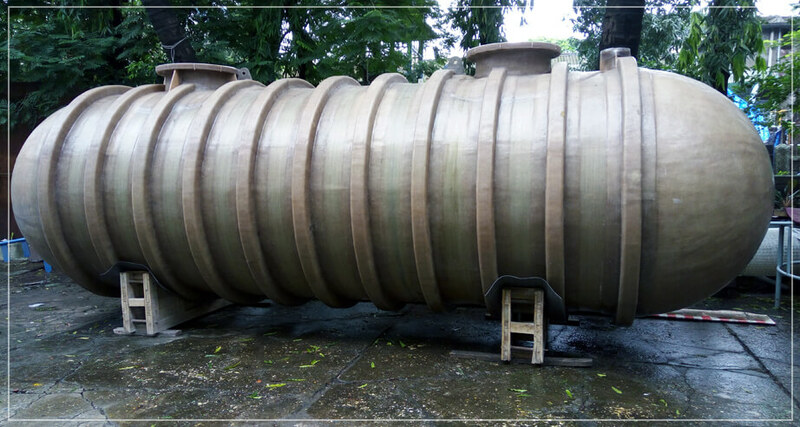 While for exports we can easily ship the large sized field storage tanks due to our proximity to the port, for Indian projects our team is well capable and experienced to manufacture large sized tanks on site itself. 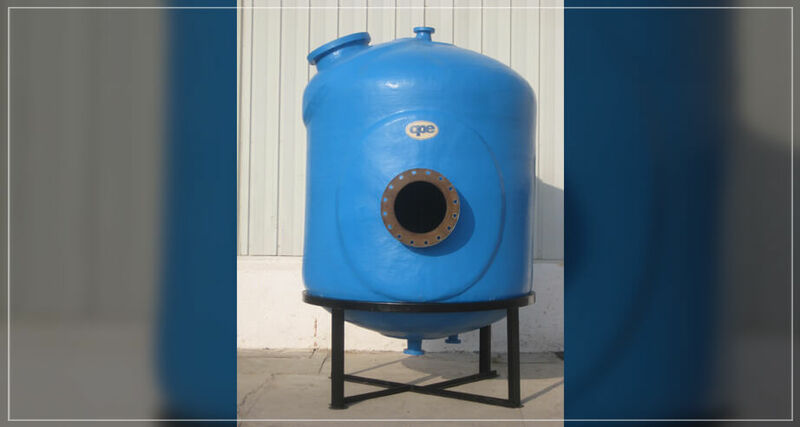 CPE is well capable and equipped to manufacture tanks of any diameter. 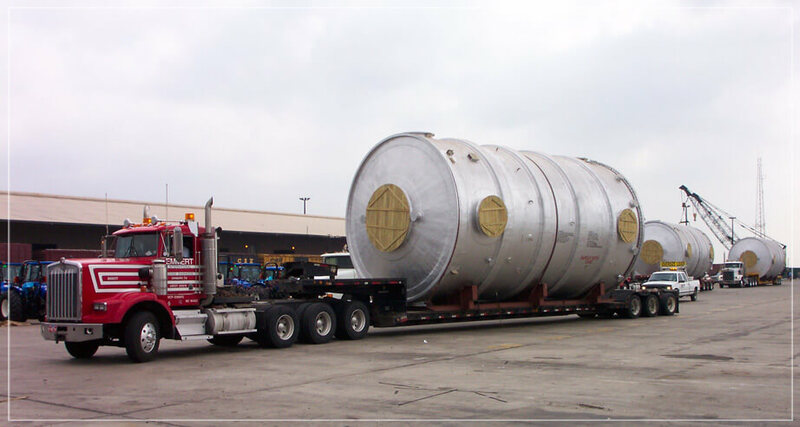 We have been manufacturing underground petroleum storage tanks for over 30 years. For these tanks we also possess licences and shop approvals from the Petroleum and Explosives Safety Organization, Government of India. 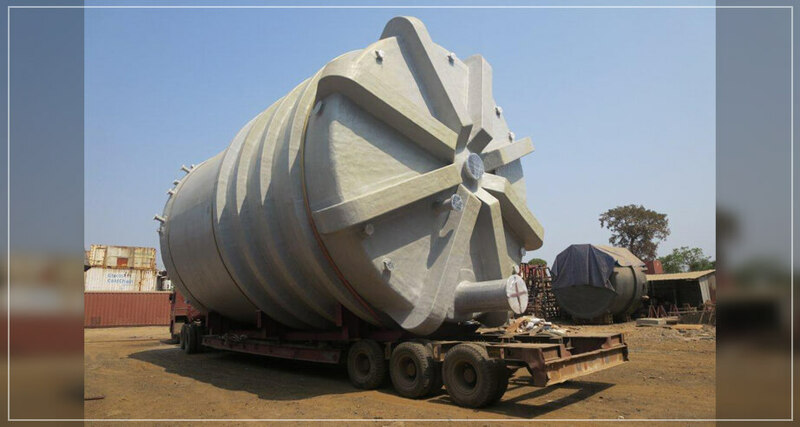 While for exports we can easily ship the large sized equipment due to our proximity to the port, for Indian projects our team is well capable and experienced to manufacture large sized tanks on site itself. 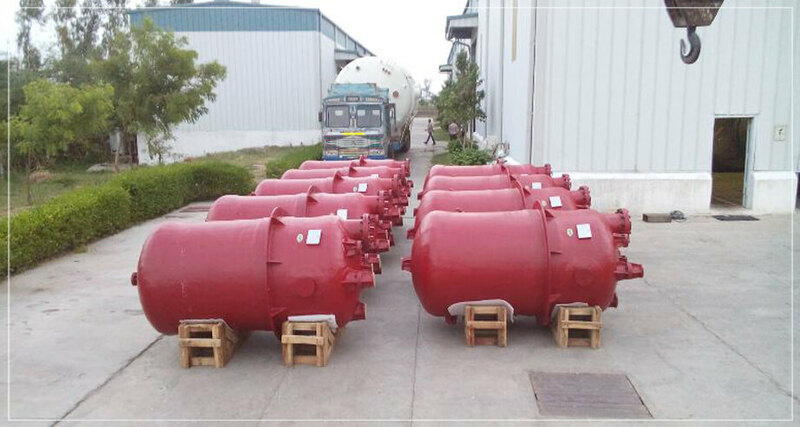 CPE is well capable and equipped to manufacture tanks of any diameter. 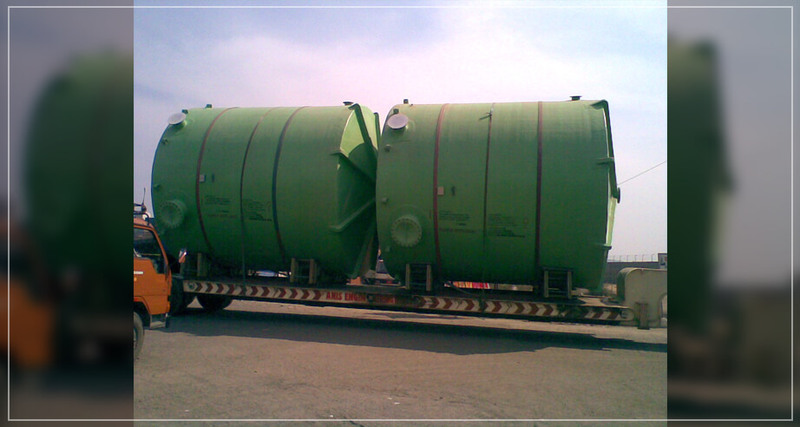 Manufactured over 600 tanks of capacity in excess of 100 m3. Manufactured most numbers of FRP Wet gas ESPs in the world – Over 200 ESPs. 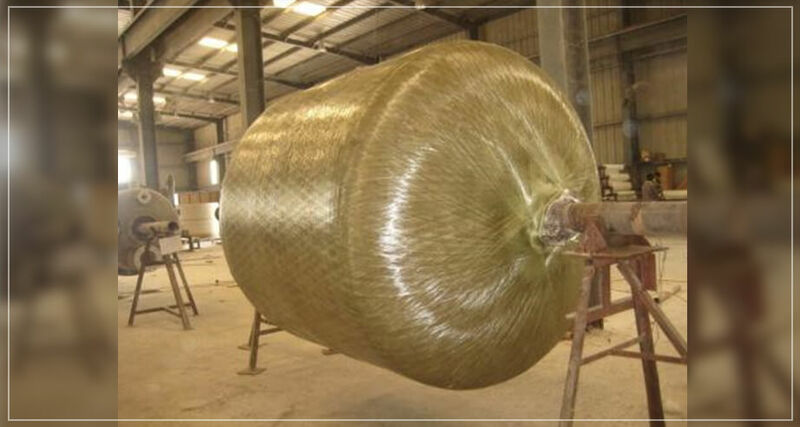 Manufactured the largest FRP ESP – Dimensions: 7.8m diameter x 10m height. Manufactured most number of Polymer Concrete Cells in India – Over 2500 cells. In 2010 we launched a new line of manufacturing High Pressure Vessels using the Polar Winding technique. 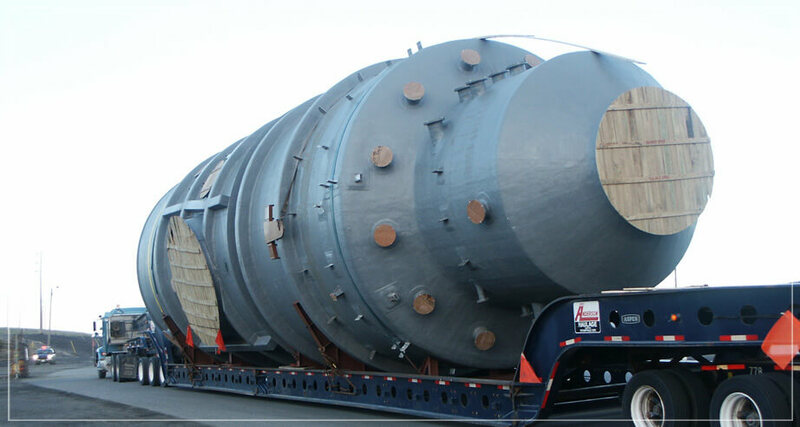 With the shell and ends filament wound together, these vessels can be designed up to 10 bar (g) with thicknesses that make them much more economical than pressure vessels manufactured with conventional techniques. Designed as per the ASME – Section X, we can also offer these vessels with CE marking. CPE offers flake glass lining solutions for various applications. For temperatures and service conditions where normal FRP lining is not suitable and expensive metals have to be considered, flake glass lining on concrete & steel items is the apt solution! Thus Flake Glass lining can be widely used for application in Flue Gas Desulphurization units of Coal Fired Power Plants. We are pleased to inform that CPE has partnered with Steuler-KCH GmbH of Germany in the field of Glass Flake lining. Steuler-KCH is a globally well-known company in the field of designing and selection of lining / coating systems for all type of FGD equipment & stack gas chimneys of thermal power plants and has a wide range of high quality glass flake material suitable for FGD applications e.g. in areas like absorbers, duct lines, tanks, stack gas chimneys (operating über both wet & hot gas conditions), piping etc. Steuler-KCH has a large reference of supplies all across world. 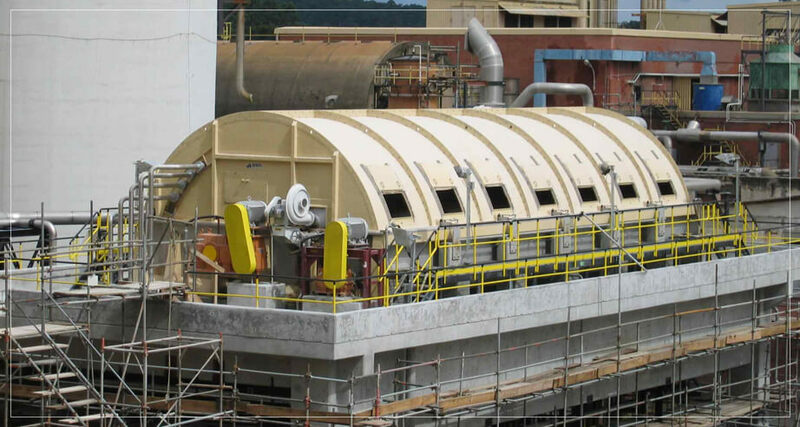 Equipment lined with Steuler's lining material are performing for several years without any disruptions while CPE has an excellent team of applicators with experience over 150000 sq.mtr of lining work in various type of equipment like tanks, scrubbers, ducts & piping in different industries including power plants. CPE's applicators are trained by Steuler-KCH who can follow stringent application procedures laid down by Steuler for applying glass flake material. FRP (moulded) Platform and Walkways. Copyright 2017 CPE. All Rights Reserved.